Low water pressure may not strike many homeowners as being a serious emergency, but it can actually be indicative of some pretty big problems with one’s plumbing system in Sarasota, FL. Plus, there are few things quite as aggravating as struggling to get the shampoo out of your hair as water trickles down upon it. If you have low water pressure in your home, we can help! When you work with us, you’re working with some of the finest plumbers in the industry. Whatever the problem may be, we’ll diagnose it accurately and resolve it entirely. Call today if the water pressure in your home has fallen. When there is a lot of sediment built up in your pipes, the area through which water can travel is restricted. The same thing happens when pipes narrow as limescale and other minerals build up within, potentially due to having hard water in your home. This can result in low water pressure at the fixtures and appliances that you use, as well as high/unbalanced pressure throughout other points of the system. Having the affected pipes cleaned and/or using a water softener may be advisable. If your pipes are heavily corroded, the flaking material within the pipe could block it up as well. Not to mention, that corrosion can eventually lead to leaks, as can many other problems with your plumbing system. If your pipes are leaking enough, you not only risk serious water damage to your home; you may also encounter low water pressure. There could even be a leak in the main water line. There is a bit of good news to consider, as well. 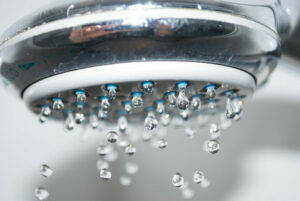 The issue leading to your low water pressure may be related to the municipal supply itself. If you don’t think that there is anything wrong with your home plumbing system, but you experience a sudden drop in water pressure, you may want to check with the municipality for help in determining if there is an issue. Call Wimpy’s Dependable Plumbing today at 941-322-1911, and find out why our customers say, I Love My Plumber!